Dr. Stachtiaris has over 31 years of medical experience. She did her internship and residency at The Long Island College Hospital in Brooklyn, NY in pediatrics. She completed her fellowship training in Ambulatory Pediatrics at Winthrop University Hospital. Dr Stachtiaris served as Pediatric Emergency Attending at the Nassau County Medical Center, where she actively ran pediatric codes. 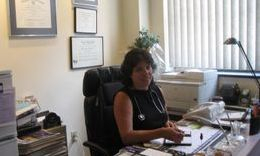 Dr. Stachtiaris serves the community of Garden City, and dedicates her life to the welfare of children and families. She is confident and well trained in the medical aspect of pediatric and adolescent medicine.